We believe that making our customers “drool” over our Southern delights is the key to success. We start with only the freshest ingredients (most hand picked from our region, according to season) and add a “pinch of magic” and a “dab of love” to every order, thereby creating a pleasant buying experience and another satisfied customer. TheChilihouse.com takes pride in serving scrumptious foods passed on from generations before. All of our recipes are tried and true. Some of them date back to the early 1800’s and are still served every Thanksgiving and Christmas at our own family’s table. They are the best of the best in Southern cooking. All the love that has gone into our products for years is now waiting for you. Come and get it! Tammy & Kim are just two Southern Belles who have a love for cooking. They grew up on a cotton farm in Alabama, the youngest of five children. Throughout their childhood they, alongside their mother, raised and harvested fruits and vegetables, which were canned for use by their family, or cooked and used to sell at local county fairs and school functions. As the popularity of their goodies grew, they began a small mail-order business where they have been selling their homemade goods throughout the United States. 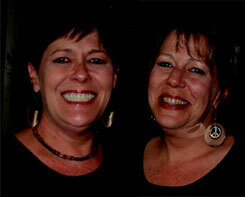 Tammy and Kim attended college and earned degrees from Mississippi State University and the University of Alabama. Kim went on to earn another degree at Mississippi State University. Now, after completing their education, the sisters have once again returned to the only thing that makes them truly happy…cooking together. These sisters “have the recipe” to the Spice of Life! At TheChiliHouse.com, we are committed to protecting your privacy. TheChiliHouse.com does not sell, trade or rent your personal information to other companies. We use the information we collect about you to process orders and to provide a more personalized experience. TheChiliHouse.com will not collect any personal information about you except when you specifically and knowingly provide such information. • We may also use the information we collect to notify you about important changes at TheChiliHouse.com and special offers we think you will find valuable. Use of Our Site constitutes Your acceptance of these terms and conditions and Your waiver of any and all claims against TheChiliHouse.com, its parents, subsidiaries, affiliates, contractors, agents, officers, directors or employees arising out of Your use of Our Site or any materials, information, opinions or recommendations contained on Our Site. E-mail resumes with attachments to: TheChiliHouse@aol.com or mail to: TheChiliHouse.com, 12808A Suqualena Road, Chunky, MS 39323.